Please pray for Alfredo who is having eye treatment for a detached retina. He had initial surgery on the 2nd and will have surgery again in a couple of months. He will be in treatment for at least 6 months. In 2000, 15 years ago, Alfredo was in a bad bus accident when he was transporting boxes of Audio New Testaments to Ayacucho. In the high snowy overpass, the bus turned over. Alfredo suffered back, neck and head injuries which have caused chronic pain for all of these years. His right eye always bothered him but he ignored it because the eye doctor said that he didn’t see anything wrong with it. When it suddenly got worse recently, we encouraged him to go to an eye specialist. It turns out that he has most likely had a small retina tear for many years that with age had become a detached retina. Please pray for Alfredo and his work with the “Faith Comes by Hearing” program. He will need to be working from home for at least 6 months. This will also be a heavy financial burden for him and his wife, so please consider giving to this need. Gifts can be sent through Friends of Runa Simi or by donating online through the Runa Simi webpage. 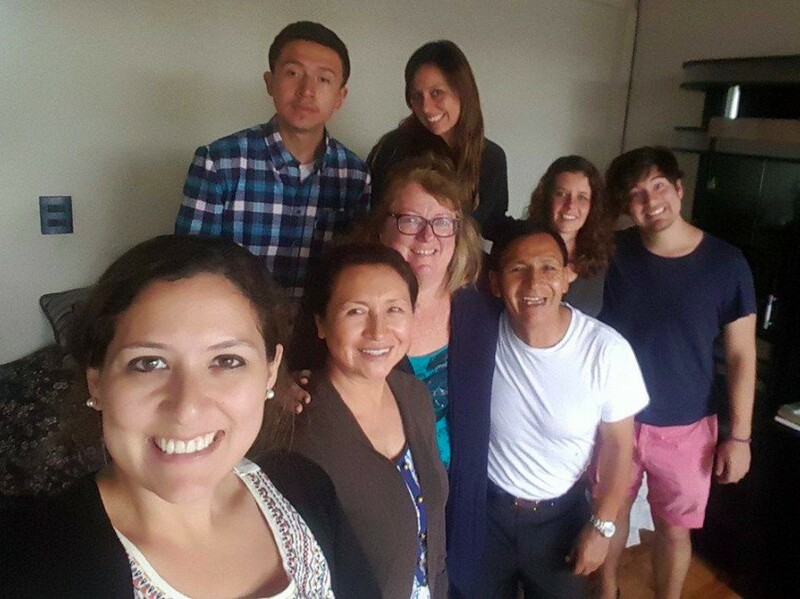 Picture of some of us while visiting Alfredo and Margarita in Ayacucho a couple of weeks ago.